Tent face material is waterproof polyester canvas, which has good performance in tensile strength, tear resistance, ageing resistant. The lifetime is more than 3 years. 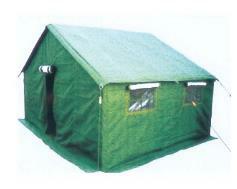 Tent braces adopt 30×30×1.2mm and 25×25×1.2mm electrostatic spraying steel tubes. 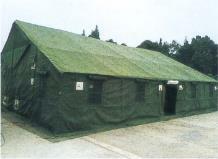 Tent face material is 28×2/28×2 camouflage or green waterproof polyester canvas, which has good performance in tensile strength, tear resistance, ageing resistant, mildewproof and rainproof; the inner layer is 190D white oxford fabric and the insulating layer is 3mm punched felt. long lifetime. 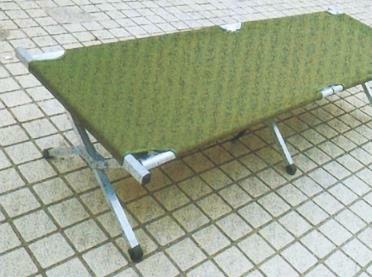 It can be used continuously for more than 2 years under the atmospheric conditions. Normal lifetime is more than 3 years. The insulating layer is metal synthetic punched felt. And the tent is equipped with ventilation ceiling. 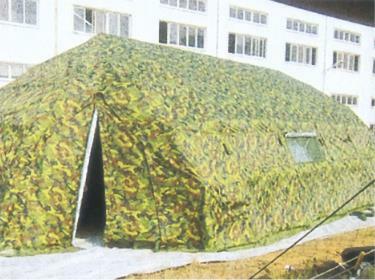 Tent face material is 28×2/28×2 camouflage or green waterproof polyester canvas, which has good performance in tensile strength, tear resistance, ageing resistant, mildewproof and rainproof. 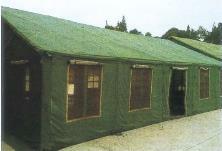 Tent braces are square steel tubes, 25×25×1.2mm. It can offer dishes for 75 people and store 5 days’ main and side dishes for 75 people. The material is anti-infrared ray 600D silver-brushing waterproof oxford fabrics. The inner parts is white silver-brushing oxford fabrics. Braces: steel brace e40×1.2 straight slit welding steel tube, e45×5 straight slit welding steel tube. Material: 28×2/28×2 military waterproof polyester canvas. Braces: center pillar is Φ25×1.2mm steel tube with anti-rust treatment on the surface. 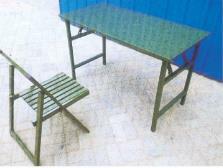 There are 8 windows with mosquito screen and 1 door for each tent equipped with 10 stay cords and 10 pegs for fixation. It’s suitable for 10-12 people.